I’ve studied a lot of Einstein quotes on the value of imagination over intellect for my playbook and yesterday was a prime example of the power it can have to help us, quickly and easily. I took my 81-year-old Mother to hospital because of degeneration in the sight of her left eye and she had lots of tests, including the injection of a Fluorescein dye that highlights the blood vessels in the back of the eye so they can be photographed. This can be quite uncomfortable physically but also mentally, especially when the nurse has to tell you about all the possible side effects, which made my Mum’s blood pressure skyrocket. A little concerned, the nurse said warmly. “I want you to imagine you’re in a peaceful happy place”. For once, my Mum did as she was told (laugh), closed her eyes and mentally went back to a time of fun and relaxation at my Sisters home, deep in French countryside. Her blood pressure rapidly returned to normal and we went on to see the consultant and complete the diagnosis, along with the agreed future treatment without delay. Whilst this is a very simple example, it shows how our imagination can be used to help us to calm down and redirect our attention towards positive constructive outcomes… and yet, so many people either don’t fully appreciate the value it has to do this and therefore don’t really use it or they allow it to run havoc in their minds through negative imagination of all that worries them. We all know that Einstein was a genius but maybe we fail to recognise the genius within each of us at times, i.e. the use of our imagination to create the feelings and the circumstances we want in our life, whether this be work, family, relationships, finances, mental and physical health or whatever. Imagination is everything, it’s created the clothes we wear, the home we live in, the cars we drive, the digital tools you’re reading this from… everything. Ultimately, it’s our conscious choice about how or in fact, if we use our imagination for our own good or otherwise, so what do you plan to use it for, to create in your life? 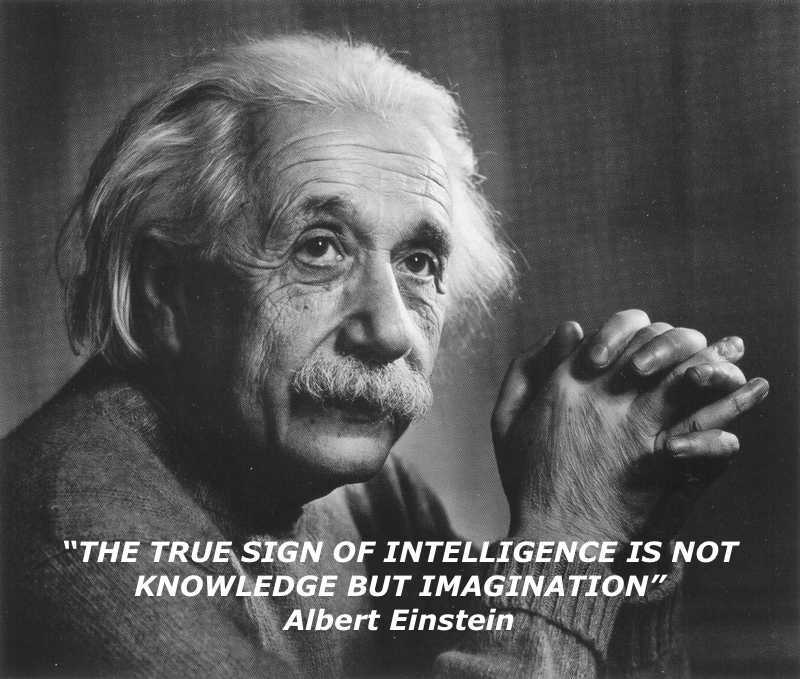 I’ll leave you with two more quotes from my playbook but if you want to explore just how much emphasis Einstein put on the use of imagination, check him out on Google images yourself, his many quotes are quite inspiring. I Thought I Was Invincible. Then I Had A Stroke at 46.